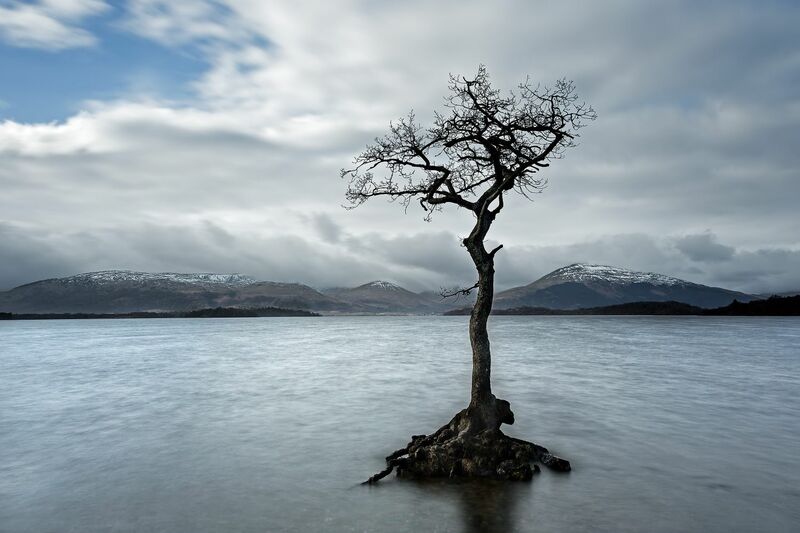 One of the most iconic trees in Scotland is The lone tree at Milarrochy, Loch Lomond, just north of Balmaha. This photograph of the Milarrochy tree was taken after a few days of heavy rain had left it surrounded by the waters of the swollen loch. The great view across to the mountains completes the image.